App Builder Appy Pie: Let’s put it out in the open, building an app for your business is going to be an expensive affair and it not only requires you to pour in some serious resources, but also needs a considerable amount of time before it can be launched to the target users. It might be so that you do not have as deep a pocket as is needed for building an expensive mobile app, or the situation might be such that you must get to the market quickly to capture an opportunity. 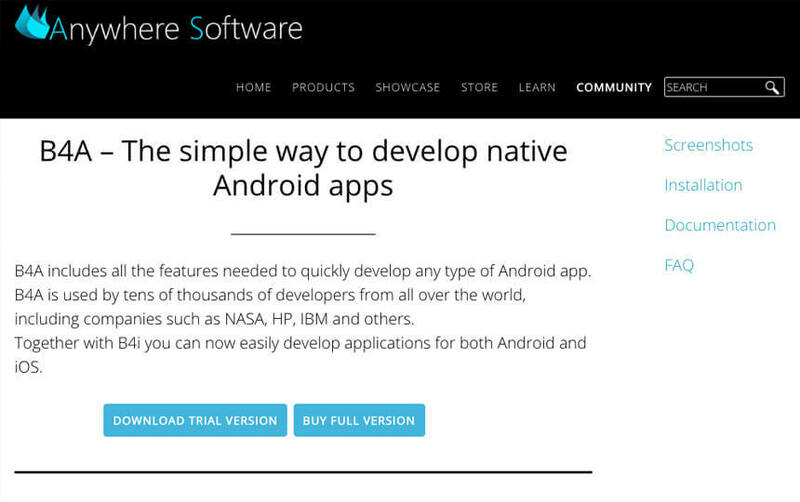 Now this can prove to be a turning point for your app. You might even be considering chopping off some of the app features. But wait, there are other ways to speed up the process of mobile app development in the interest of saving a substantial amount of time and of course money. 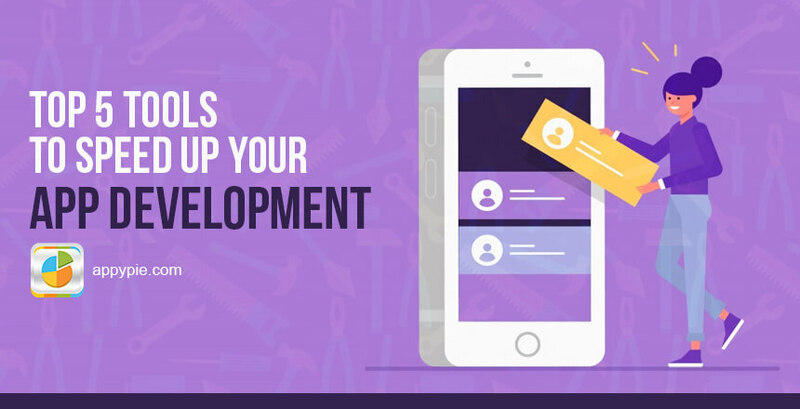 In this article, we are going to take a look at the top 5 tools that can help you speed up the process of your app’s development. So, let’s get to it! 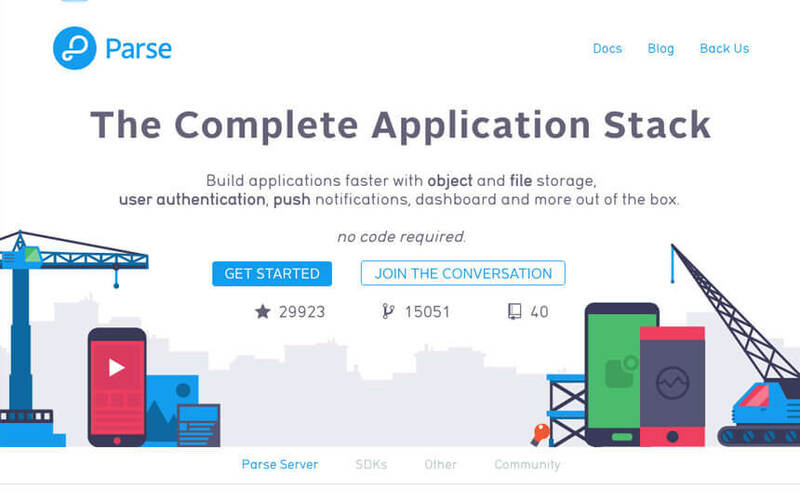 Parse Server is an open source cloud back end that has an impressive number of additional services like databases, push notifications, storage, and user management. The Parse Server instance can be set up on any of the multiple infrastructure providers including AWS, Google App Engine, Azure, Heroku, and Digital Ocean among others. Though Parse Serve may be connected to multiple back-end tools like push notifications, databases, etc. but for each of these services or tools, there would be a need to get other service providers like Amazon S3 or OneSignal, among others. Now, tools like these are definitely greatly useful, but since you would have to involve multiple service providers, it can get really complicated and cumbersome when you are setting the whole thing up and attempting to maintain the juggernaut. The bottom-line here is that using Parse Server involves a lot less development time in tasks like building back-end services and maintaining webservers, which means you have more time to devote on building apps and features! The idea behind Fastlane is to focus on Continuous Integration (CI) and Continuous Deployment (CD). In simple terms it means that whenever you create a newer version of your app, it is automatically published and sent out to end-users or beta users (as applicable). Fastlane has a barrage of automated tools and processes to strengthen your workflow. To begin with, it might seem like a small detail, but when you have a project of a considerable scale there are many logistic issues even in releasing new version or updates of the app to the app stores. It is possible that while there is a team working on the bug fixes of version 1.0 of your app, there already is another team working on the release of version 2.0! in such cases the deployment and the manual operation and handling can become quite cumbersome. To put it simply, Fastlane actually is composed of multiple actions including uploading the app build, and of workflows to connect multiple actions. Now, as these actions are all scripted, you have the freedom to customize them according to their requirement. The added advantage here is that Fastlane can be integrated with some of the most preferred CI/CD tools including CircleCI, Jenkins, and Travis CI among others. 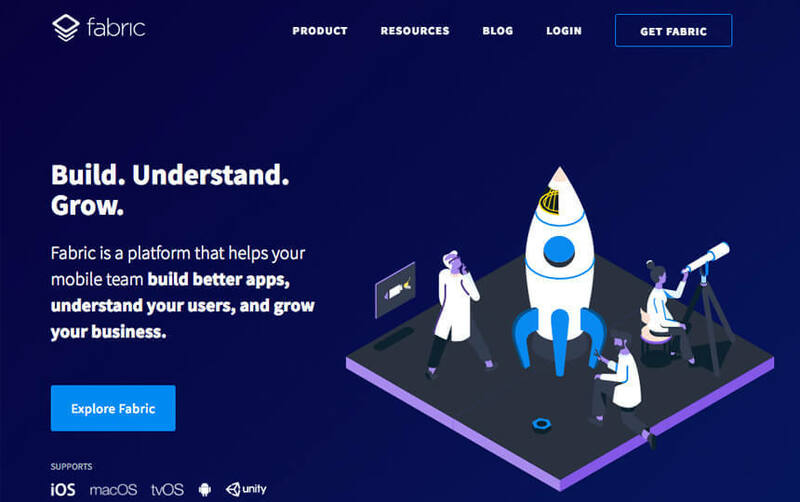 The best part however is that Fastlane is open source, which means that the developers can make their own contributions to it, thus building their own actions and plugins. Every tool on Fastlane is well documented, and includes examples & best practices, which means that it is an absolute necessity in your toolbox. 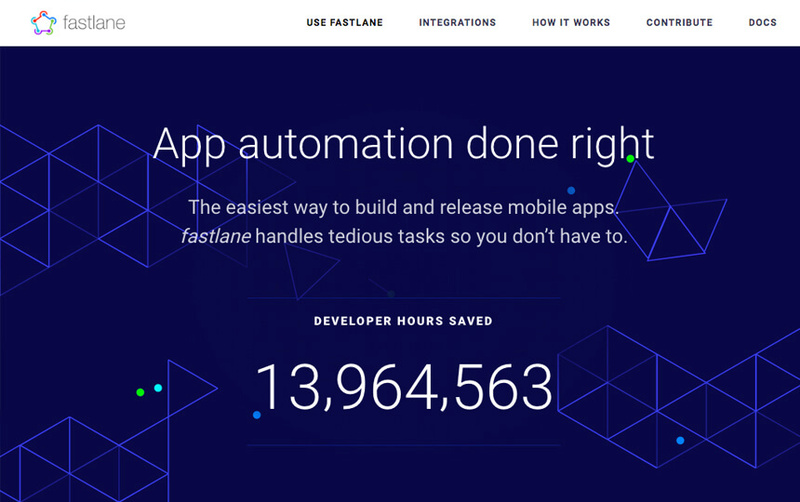 Fastlane is great at saving you a whole lot of time by automating tedious and dreary tasks while reducing the margin of manual error. This one tool is great when you are on a mission to inject speed into the development of your android app. The features of this tool are such that you are sure to achieve considerably rapid development for your app. With B4A, or Basic for Android, lends you the ability to develop Android apps by making use of BASIC, one of the more simpler programming languages. The tool comes with a visual editor that lets you manipulate your views according to your preferences and allows for wireless debugging. B4A is one of the most convenient IDE and interpreter and lets you develop your own app in one of the simpler procedural programming languages. In all, the tool is packed with a plethora of different features that actually help you speed up the whole process of app development. You cannot contest the fact that the apps that are designed better are always ranked higher. 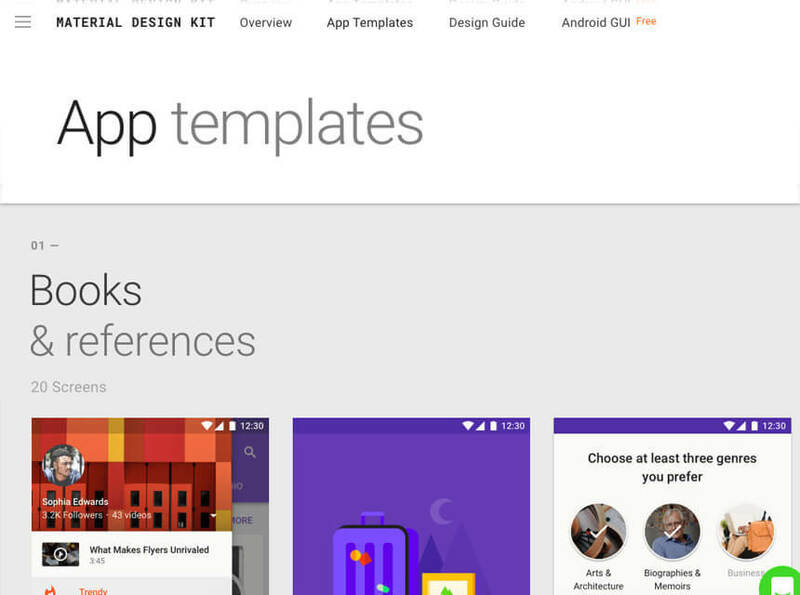 The design of your app matters greatly for the success of your app. The new age app user cares deeply about the kind of user experience they are getting and expect only excellence. While it is true that today we, as users tend to install select few apps and are averse to taking risk with the unfamiliar apps, but when an app comes up with impeccable UI/UX design and a strong branding, it is bound to catch our eye. However, the process of designing an app right from the scratch takes a whole lot of time, and of course money. Now, even if you do have an in-house designer, they may not have the kind of experience you are looking for, or may not have the bandwidth to take on the project. Needless to say, using a design template for your app would definitely save you a lot of time and money. The design templates that are available are mostly affordable and are of decent quality. The real fun is in the customizability that it offers. The scope of this app stretches from development to the launch to the stages beyond including the growth and performance of the app in the real world. The power of the tool lies in the capabilities that have been incorporated in it. Fabric has a barrage of features that are designed precisely to help you develop, deploy, and extend the functionality of your mobile app in a fast and easy manner.